This is so CLEVER it makes me giddy. 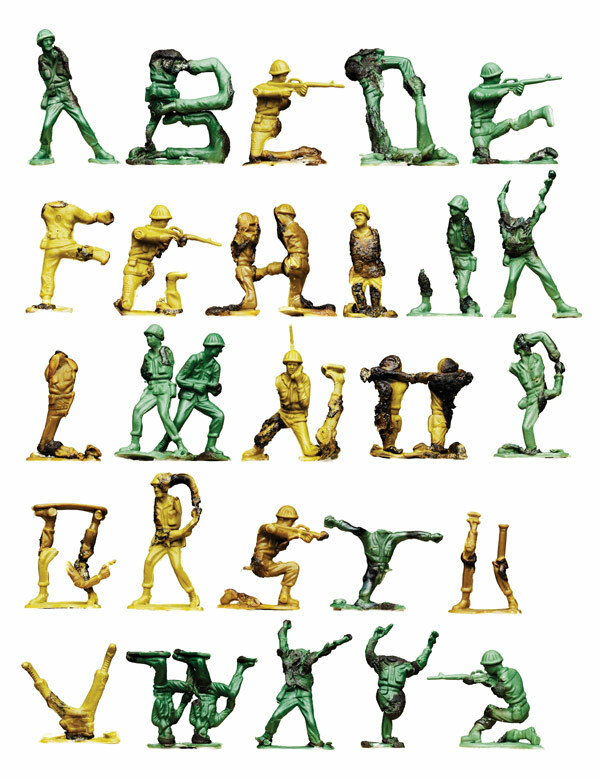 This lovely 3D alphabet, created by the talented Oliver Munday, consists of melted plastic army men that are molded into the shape of each letter. It’s a toss up but I think the letter B is my favorite. It’s not the subject matter per se that I’m drawn to, in fact I think using army men could be slightly controversial. I like the concept behind this design — the idea that everyday objects (like kid’s toys) can be turned into art. In this case into type. This project also reinforces my belief that the computer is just a tool, and using your hands — and paper, pencil, or even fire — should also be explored with graphic design.